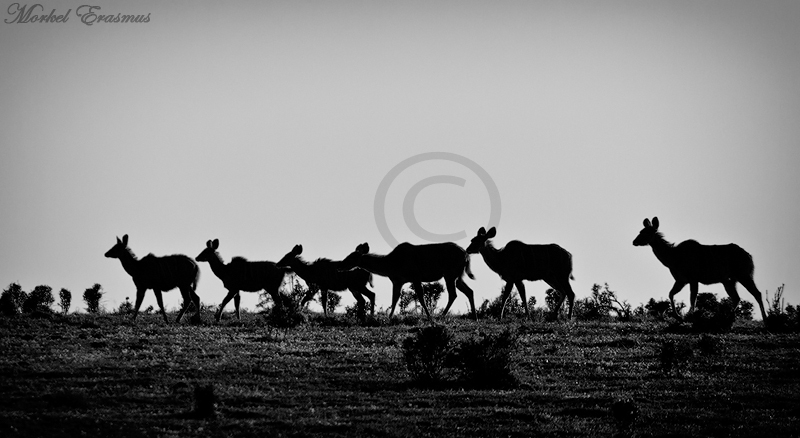 And so enters the month of September 2010...is it just me or has this year just gone faster than the previous one? Things are really steamrolling along this year. The much anticipated Soccer World Cup 2010 has come and gone, and I think our country has done itself proud. Unfortunately there are now a few things in the aftermath that could unsettle all the momentum our wonderful nation has built up. But enough of that before I change this blog into a socio-political one..
We have just returned from an amazing (albeit short) road trip which took us to areas we had not visited in quite a while. 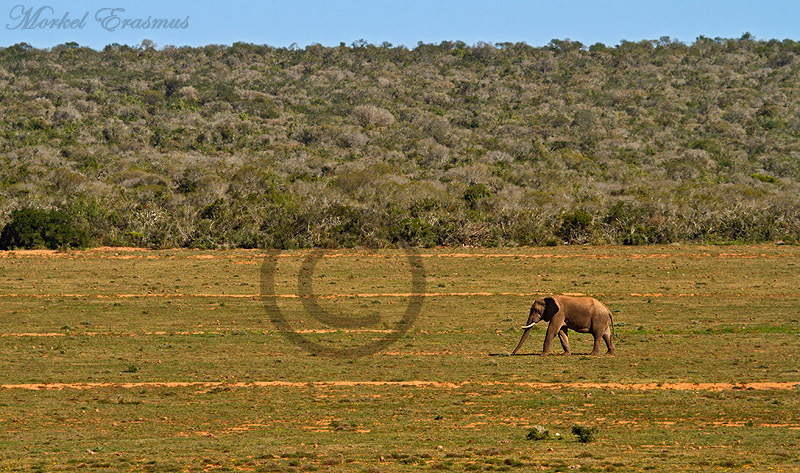 As a big fan of South Africa's National Parks and a big fan of the self-drive safari (maybe it's because of budgetary constraints as well hehe, but I DO so love finding my own sightings and making the most of them photographically), I was happy to make my first real trip to the Addo Elephant National Park in the Eastern Cape province. 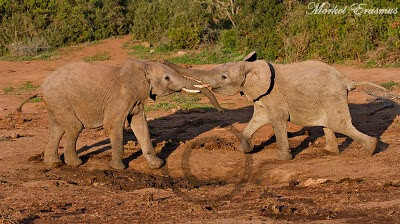 I had only been there once in the past for a quick drive-through en route to elsewhere, and this time we managed to book a 2-night stay in one of the safari tents of the Main Rest Camp. 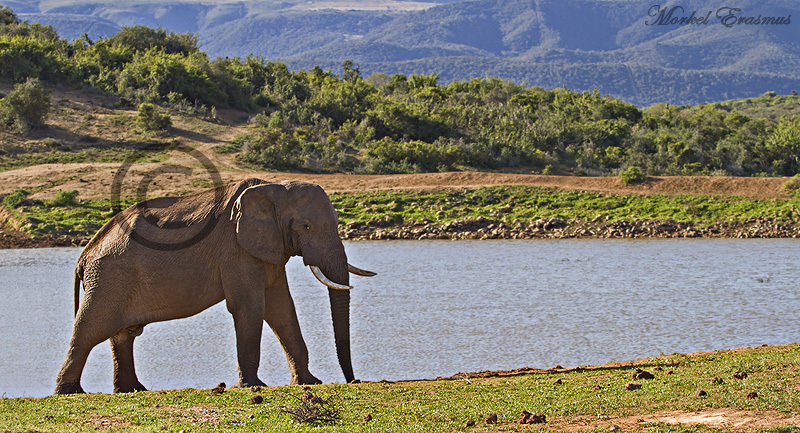 This park has done much to conserve the Cape elephant population, and of late has also reintroduced many species occuring here historically, like lions, buffalo and black rhino. 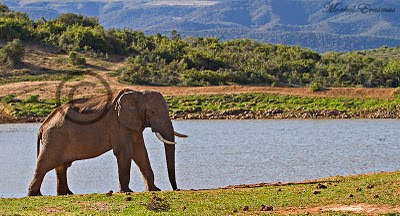 It is situated not too far from Port Elizabeth and has become a popular stop-over for tourists who want a quick wildlife fix while exploring this area of the country. 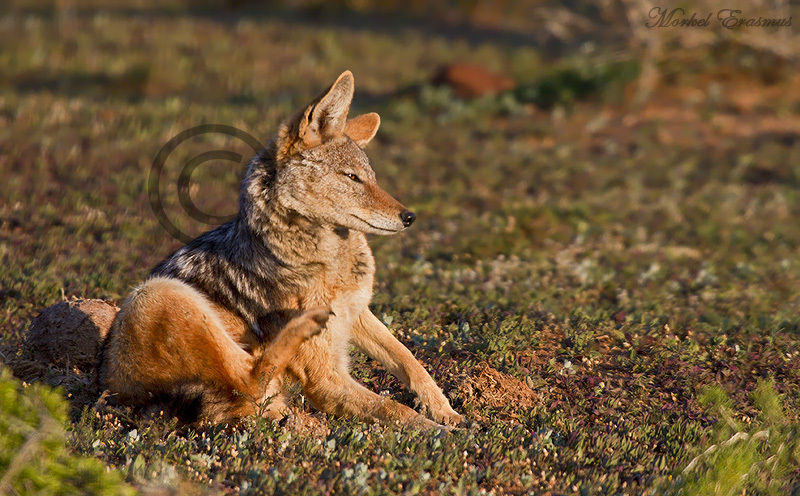 The park actually comprises a few areas that are spread throughout intermittent farmland and towns, and protects an area that includes 5 of South Africa's 7 unique biomes. The park is also home to the Flightless Dung Beetle, found nowhere else in the world. As you drive through the park, there are actually numerous road-signs indicating that these dung beetles have right of way! 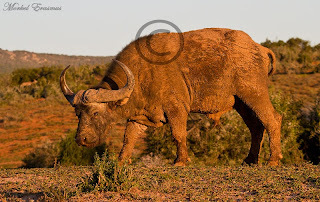 When taken collectively - the Park's separate areas are home to what the management refers to as the "Big 7"...which includes the traditional "Big 5" as well as Great White Sharks and Southern Right Whales in the marine sections. 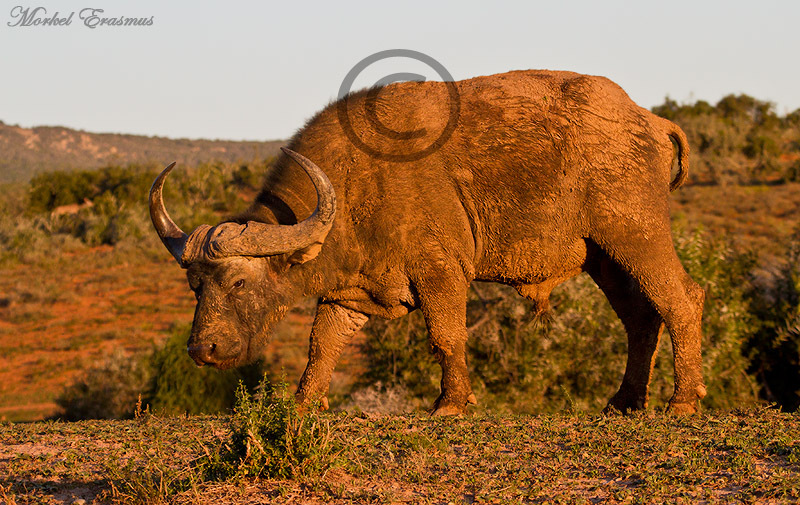 During our 2-day stay we were lucky enough to get to see 3 of the 7...elephants, buffalo and lion. 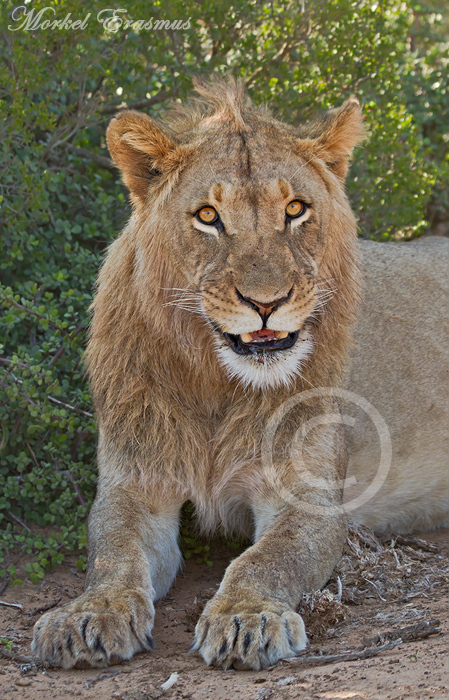 The lions were re-introduced by translocating Kalahari Lions which are genetically the closest relative to the extinct Cape Lion which occured in the Sundays River Valley. 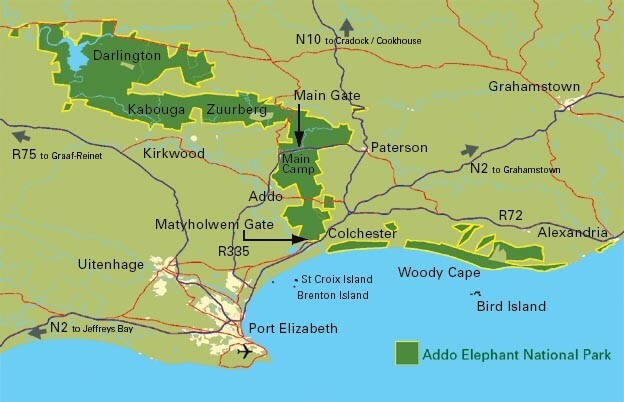 From a photographic point of view Addo provides many opportunities to capture the enigmatic shots of elephants against the stunning backdrops of the Eastern Cape bushveld and the mountains surrounding the Sundays River Valley. 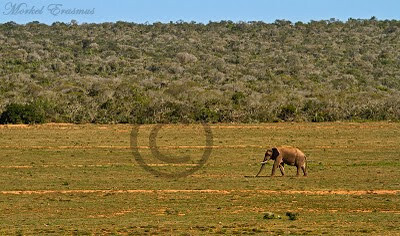 There are of course sections of the main game area that are very dense and you will only have a decent sighting if the animals are in or next to the road, but the open plains in other parts make up for that, as do the well-placed waterholes. 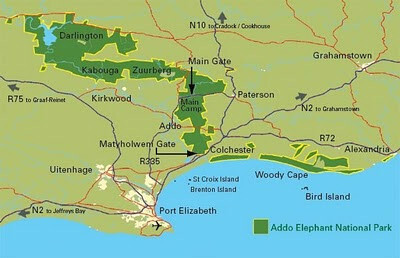 Addo is home to one of the densest elephant populations on earth, so that means that sightings of elephants during any given day are obvious and plentiful. That doesn't mean that you won't get your fill of some of Africa's other wonderful wildlife. Besides the "Big 7" mentioned, there are also many kudus, black-backed jackals, warthogs and other entertaining members of the animal kingdom. I would highly recommend overnighting in the safari tents as they overlook a floodlit waterhole and we had a plethora of visitors at night which we could view from the comfort of our porch - these include porcupine, bush-pigs and a herd of buffalo which grazed in front of our tent all night long. The "underground" hide at the main camp waterhole is also very nice, allowing you an eye-level view with the game coming to drink there. 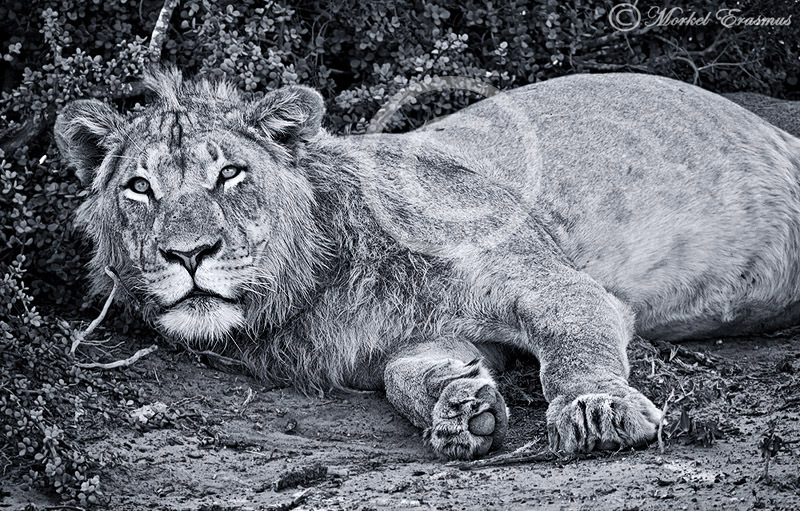 As a regular visitor to Kruger and the Kgalagadi, the type of terrain and the way to look for wildlife was something I wasn't accustomed to, but it soon fell into rhythm and on the last day we were lucky to come across 3 of the 10 resident lions lazily soaking up the sun with full bellies. 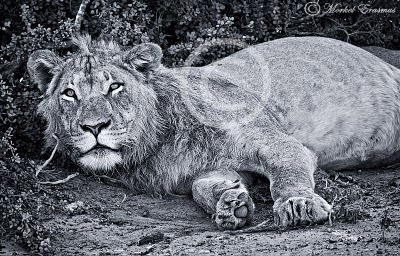 Taking into consideration that a few days prior to our arrival, South African National Parks had taken down the fence between the main Addo game area and an adjacent area and that a few of the lions had already moved South into the new area, we were very happy to come across these felines. I was amazed at the adaptability of these animals...imagine being a Kalahari lion, used to surviving in an arid desert with little real vegetation to speak of except for grass, a few shrubs and the odd camel-thorn tree...and then being relocated to an area with dense vegetation that is evergreen, suddenly amongst a whole crowd of animals larger than you've ever set eyes on, yet still being able to adapt and come up trumps. Some of the lions bred in Addo are now even being prepped for translocation to other parks such as the Karoo National Park. 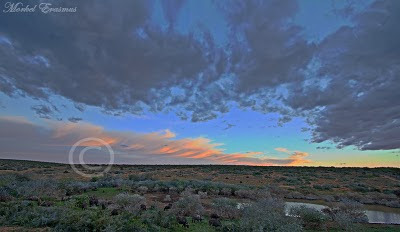 Here is the view we had on our last evening - 3 images merged as an HDR to bring out all the colours of the sky and the details in the buffalo that my eyes saw at once, but which is so difficult to capture using only a single metered exposure (you'll need to click on this one to get a better view). For more information on the park and to make online bookings, check out the SANParks website and forums. PS: I am in the final stages of preparing my official website...you can be sure I will announce the "go-live" date here on SAFFAscapes pretty soon!